REVIEW: Garmin Edge Touring Bike GPS – Do your dream! 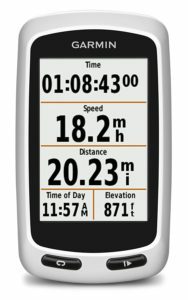 As we do lots of riding, and want to do more long cycle touring, thought it was about time I got a bike GPS. Usually, we use our Phones with OSMAnd with offline maps, which is great, but this means stopping and looking at the map, and the batteries tend to die quickly. When we cycled to the med, we used just a running watch and “follow the black line” type route that worked OK, but…. 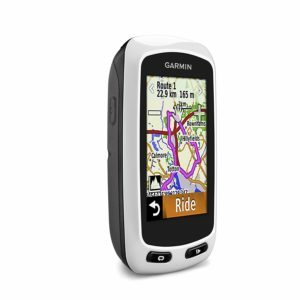 So – we just got a Garmin Edge Touring (actually we got a Touring Plus as the store assistant gave us the wrong box). with cycle paths, trails and more. 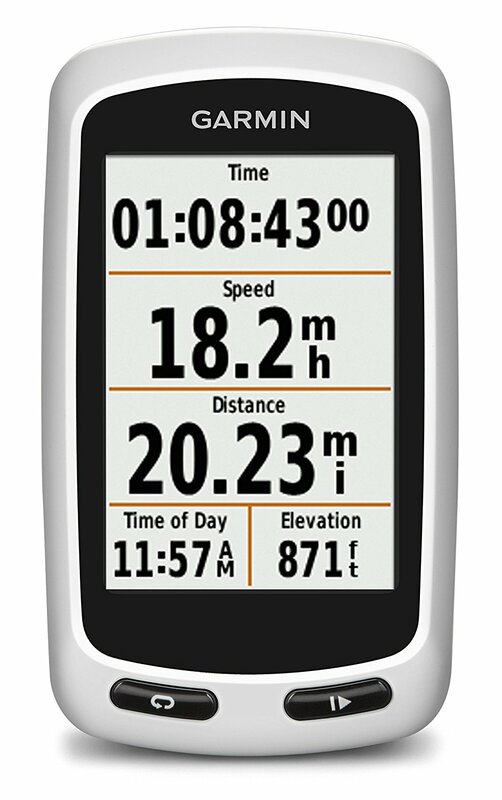 And, this updated to latest version via the Garmin software (though that took a few hours). You can say if you are a roadie, tourer or off-roader and it will route accordingly. It knows what is rideable and also knows elevation data. 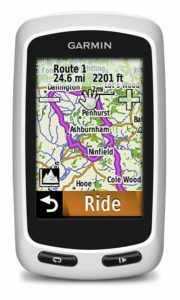 One neat features for us travellers, is you can be “somewhere” and say “I want to go for a 25 mile ride” – and it’ll work out up to 3 round trips for you – which is really cool! Saves having to plan it yourself. I don’t like the turn-by-turn guidance, I prefer the “follow the line” on the map, but that’s a simple option to change and it just works overlaying your GPX route on the map and lets you follow it telling you where you are. It also alarms if you go off route which is superb and well tested already. You can easily upload GPX routes and POIs – so we’ll upload all the campsite data when we go touring. Yes the screen could be better, brighter and higher resolution, but its fine, readable outside with backlight off, but a gentle tap and it lights up, and its all a compromise with battery life. I’m not sure I’d let it plan a massive route for me, but for what it is, it ticks all our boxes. Good price (that’s another story!) and is brilliant. Its NOT for you if you want to race against internet friends.